Teachers use educational lingo that is sometimes hard to decipher. Rubric is one of them. As parents, we want to know what is it and how can it help our students understand their grades and expectations. 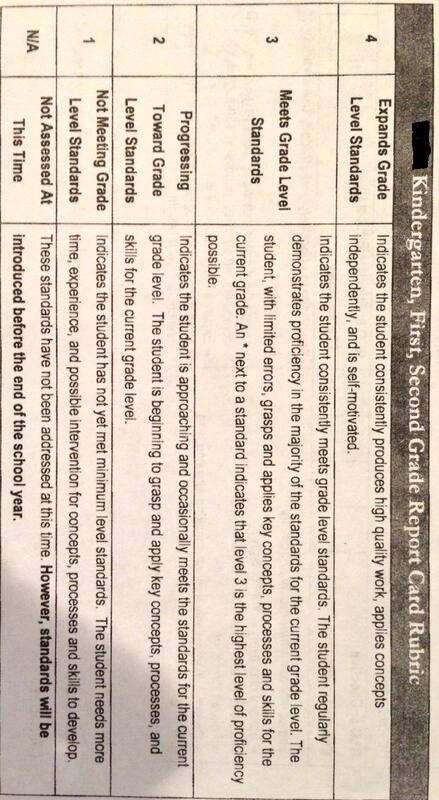 Rubric, simply put, is criteria for an assignment or project. It lists the expectations that students need to meet. Assignments, like essays and group projects, where there are no right or wrong answers, are easily evaluated with rubrics. They assist in listing the expectations and assigning points to those projects. A students demonstrates that they understand the concept or task consistently. They need to exhibit good critical thinking skills, and go above and beyond the given goal. According to the new core curriculum, students will be required to show a deeper understanding of their grade level concepts and standards. A student demonstrates that they understand the task and exhibit some critical thinking skills. They meet their goals or standards consistently. The student is still working on thinking through the task and partially meets the goal of the assignment or standard. They need assistance and are still developing key concepts. They do the task but with inconsistency. The student is struggling with concepts and task at hand and fails to meet the goals. They need assistance on a regular basis.